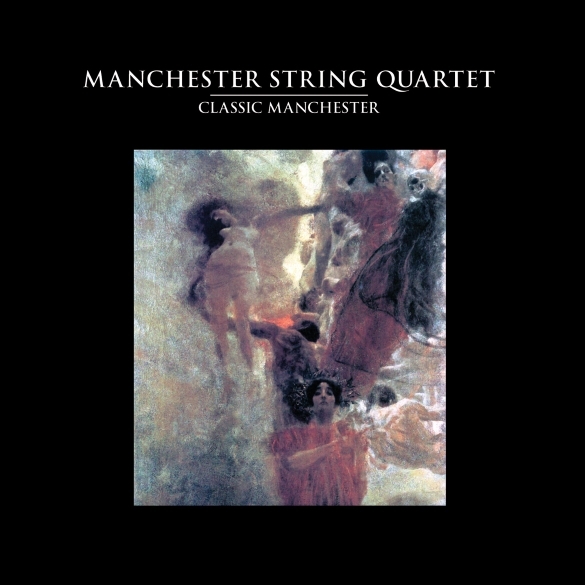 MuzikMan's Reviews And News: British String Quartet Salutes The Legendary Manchester Scene With A New Album Of Chamber Rock Interpretations! British String Quartet Salutes The Legendary Manchester Scene With A New Album Of Chamber Rock Interpretations! Los Angeles, CA - They are one of the most sought after chamber quartets in the UK, even earning the praise of Pulp frontman Jarvis Cocker, and now The Manchester String Quartet are proud to announce an exciting new tribute to their namesake, the city they call home, and a place that has birthed some of the most renowned musical acts in British rock history! From Oasis to New Order, The Smiths to The Buzzcocks, The Stone Roses to Elbow, Manchester England saw an explosion of groundbreaking musical acts starting in the mid 1970s that continues to this day, making it a true mecca of the artistic world. With their new album Classic Manchester, this group of 4 extremely talented classical musicians celebrate the city and its most memorable musical offerings, dramatically reinventing such classics as “Love Will Tear Us Apart,” “Wonderwall,” “This Charming Man,” “Blue Monday” and others. The album is available now on CD and digital download courtesy of a joint venture between UK outfit Glucose Recordings and Cleopatra Records. Formed in 2002 by John Purton, Tim Crooks, Natalie Purton and Sarah Smyth, The Manchester String Quartet have quickly become one of the most sought after group of young classical musicians performing in the UK today. They are full-time professional musicians who perform with such renowned orchestras as the Royal Liverpool Philharmonic and The Hallé. They’ve even earned the praise of some of their rock counterparts such as Jarvis Cocker who declared, “The Manchester String Quartet are the real deal: not only are they fantastic players but, in John Purton, they have an incredibly talented composer and arranger. They’re mega!” So whether you’re a fan of classical music or not, you’re sure to hear and appreciate the extraordinary depth of talent possessed by this fine group.